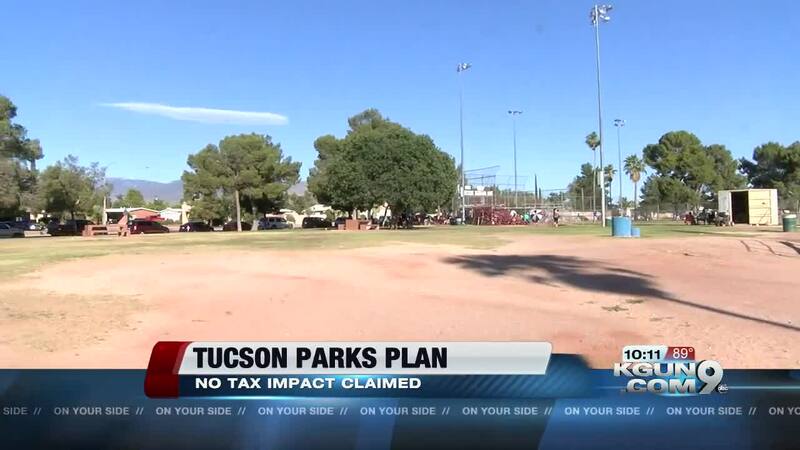 TUCSON, Ariz. - Tucson city leaders may ask voters to put 225 million dollars into improving city parks. The city says the plan would not require a tax hike but the city will still need to convince voters parks are the best place to put public dollars. The city and people who use the parks say they're overcrowded and under maintained---and that they've been starved for money while the city pursued other priorities. Now the city is talking about asking voters to approve a bond issue in the November election. A yes vote would let the city borrow 225 Million dollars earmarked for parks. Normally when we talk about a bond issue the reaction is, “Oh boy, brace yourself, here comes the tax hike, what'll it cost me?” Well, the city says, in this case, it should not cost you a tax hike at all because some older bond issues are close to being paid off and the city can simply take the tax money it's already bringing in and apply it to the parks." He says, “Lakeside Park could certainly use a little bit of help to it. Playgrounds, my kids love going to the playgrounds a lot and here, obviously the gym equipment could definitely use a little updating. I think I would really enjoy that." Tom Workman is fairly happy with the parks he uses. He wants to know more about the plan and the city's contention it will not lead to more taxes. Workman: “That's a big concern in my mind." He wonders whether the money should go to roads instead. In a KGUN9 Facebook poll, a lot of people want more for roads, and especially police. Christy wrote: "Heck no! What about having police officers & public safety to keep residents safe in the parks and safe roads?" Last year Tucson voters approved a half-cent sales tax for roads and police and fire equipment and by law bond money is for things, not for operating costs like officers and their pay.